In the mid-seventies, I remember digital watches started to appear around our school. I thought they were really cool. I got one when the price came down. I had a friend named Paul who shunned me a little after I got it. He said he thought they were for only people would couldn’t tell time…no Paul. After Roger Moore was seen with one in Live and Let Die it was the thing to have. 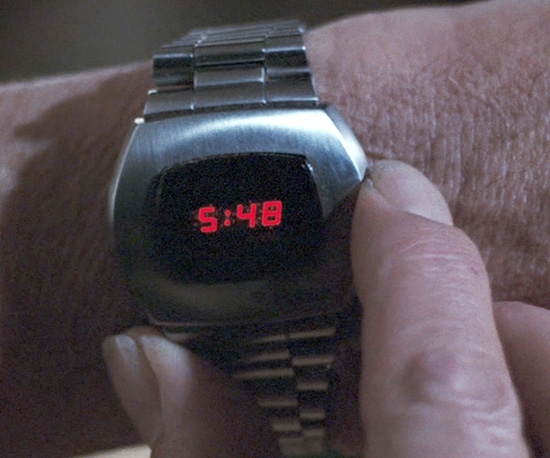 It’s hard to believe a watch could make me so excited back then with its red numbers that only lit up when you clicked it because it would drain the battery if it stayed lit. Later on, in the early eighties, I went to the now-defunct Service Merchandise and my mom bought me a digital display wristwatch for my birthday that played the Beatles Hey Jude…midi style. I would give anything for that watch now. In 1972, Hamilton introduced the world’s first commercial electronic digital wristwatch. It retailed for the pricey sum of $2,100. The Hamilton Pulsar P1 was encased in 18-carat gold. The very first liquid crystal display (LCD) watch was introduced in late 1972. These Dynamic Scattering LCDs were power-hungry and unstable, and the market soon moved on to TN Field Effect displays. The Seiko 06LC was one of the first to use the new effect display and it stuck for decades. 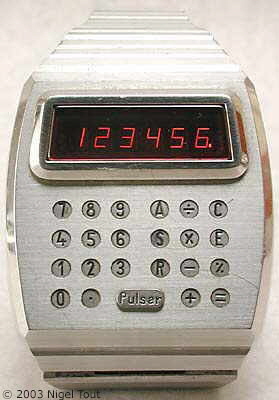 Hamilton Pulsar Calculator Watch came in 1976. The buttons were extra small but every model had an improvement. By 1977 the watches really started to fall in price. 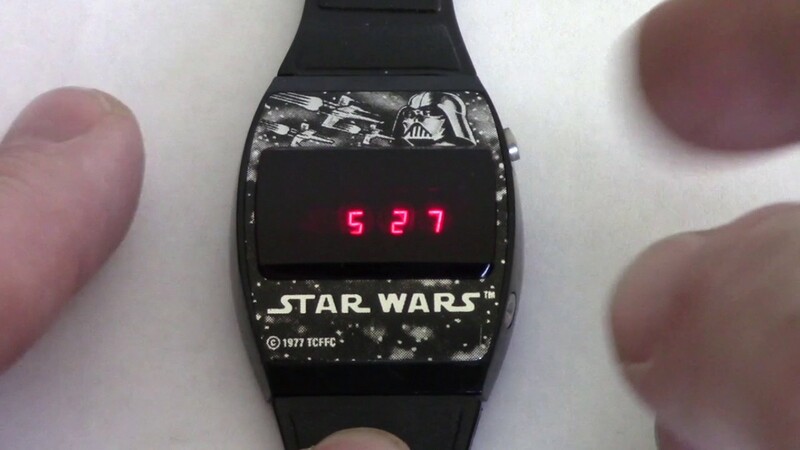 Star Wars watches were everywhere and they were a more affordable 16.95. A long way from the 18-carat gold watches. 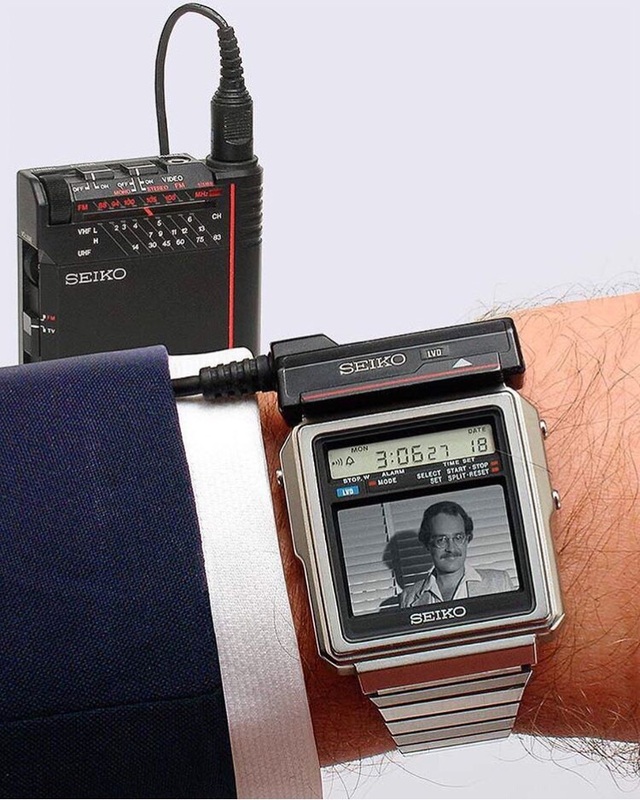 In 1982 the Seiko TV Watch was released. It allowed owners to view live broadcast TV on a tiny blue/gray LCD screen embedded into the watch face. But…and there is a but…an external tuning device had to be connected to the watch. I don’t remember these but it is incredible they had these in 1982… If you had one of these please comment…were they clear at all? Now with Apple watches that can tell you your heart rate and bank account…they have come a long way. Yep! 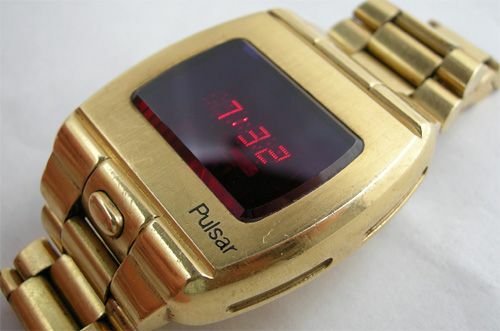 I had a ‘cheap’ digital watch back when I was a kid then got one of the fancy LCD metal ones when I got a job…I felt like a tycoon wearing it! I’m amazed though when I go into Walmart or Target now & still see LED ones designed for adults. Who still wear them? Only Apple Watches and things like that….No one hardly wear those that we did anymre because of phones…..
Old School is the only way to be man…. Ha! I remember when these were state of the art. My dad got my brother one and he was so proud. It was, in fact, the Seiko model you displayed. Fancy. When I saw those red numbers…I thought wow this is the spage age! Little did we know the next decade you could buy them at the 7-11 for 5 bucks. I felt the same way as your brother.